The Archive holds a large collection of documents and papers related to a number of the naturalists' and scientists' collections that make up our specimen collections. They include material such as field notebooks, correspondence, personal and professional papers and drawings, maps and artworks. 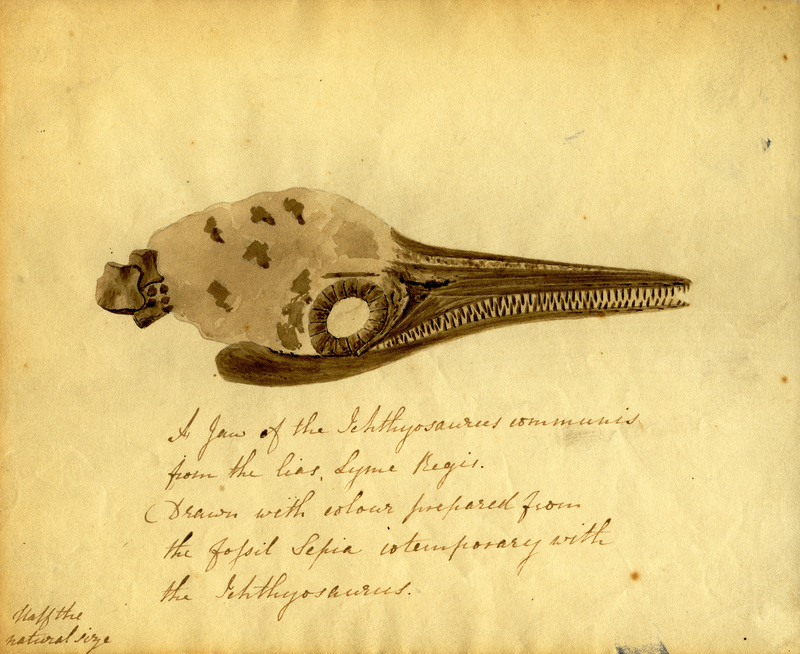 A letter from the palaeontologist Elizabeth Philpot to Mary Buckland, dated 9 December 1833, containing a sketch of an ichthyosaur skull painted in ink from a fossil squid of the same age as the ichthyosaur.